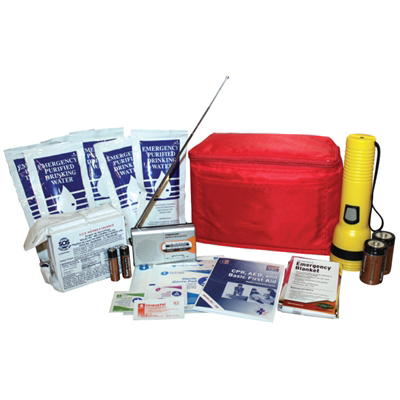 The Deluxe Kit is perfect for emergencies and disasters, and is made for 1-5 family members. 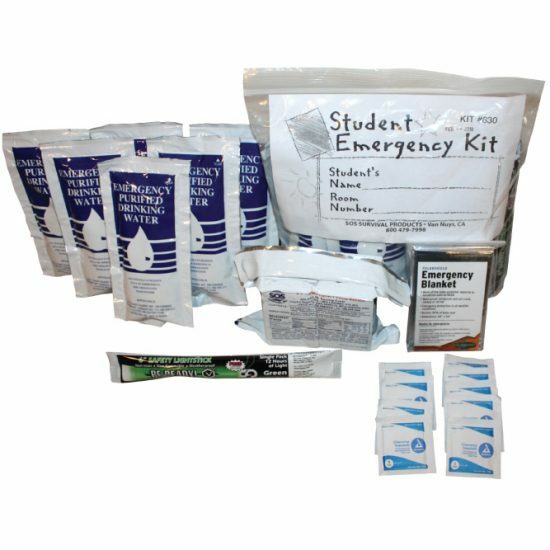 The Emergency Café Office Support System contains the necessary food, water, first aid, search and rescue, lighting, comfort and sanitation products to sustain each person for 3 days in a disaster situation. 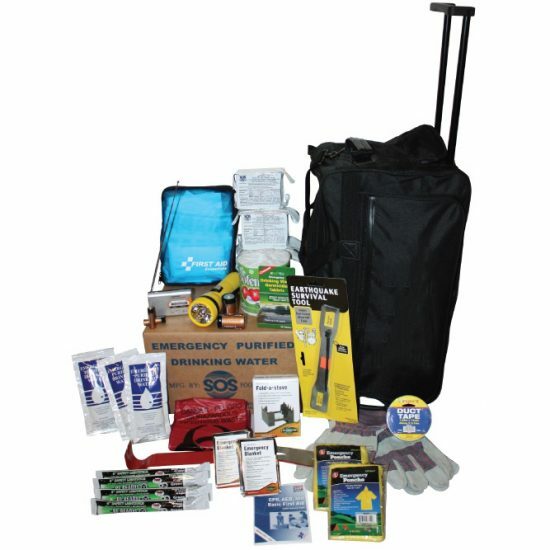 It is designed to meet the needs of OFFICES, FAMILIES, SCHOOLS, BUSINESSES, & FACTORIES. 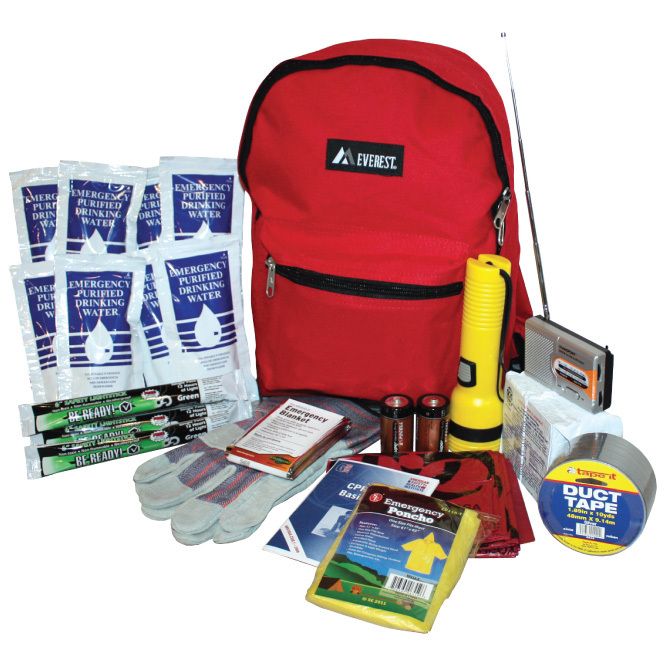 This durable backpack can be kept in almost any location. 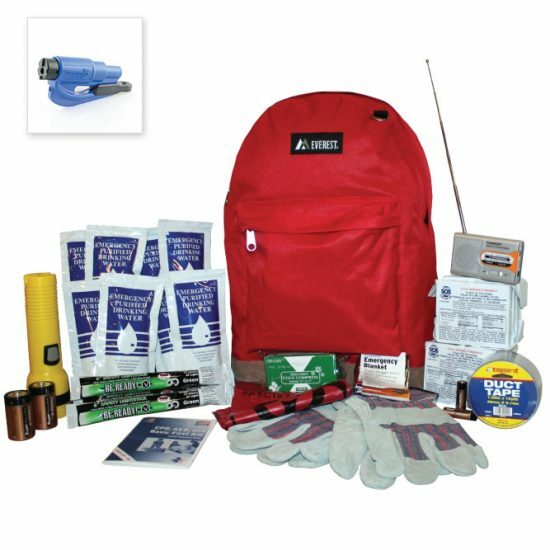 The shoulder straps make this kit easy to carry hands free in case of any emergency.